Good sound quality and mic quality too although the wireless functionality of it can be a real pain. Thinking i'll eventually change to a audiophile set up and lose the wireless for a more enjoyable and high quality solution. Sound quality is great, but they are really tight. 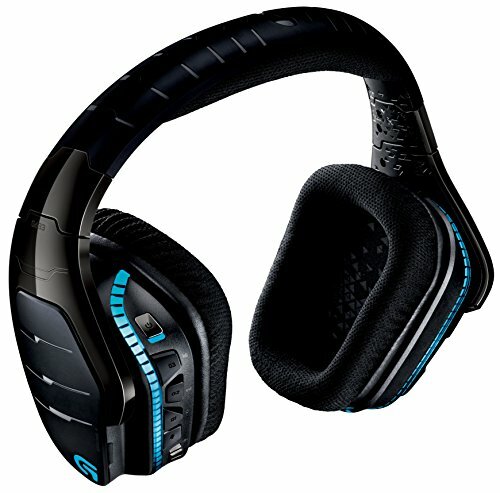 The voice quality on the G933 is quite impressive. I’m not too thrilled with the sound quality, but I chose to pay a tad extra for the convenience of wireless so I can be up and about when I’m on web call with work or friends. 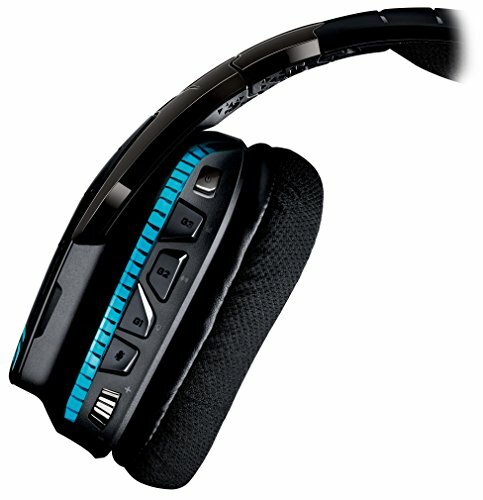 Sounds are great syncs with all your Logitech products. 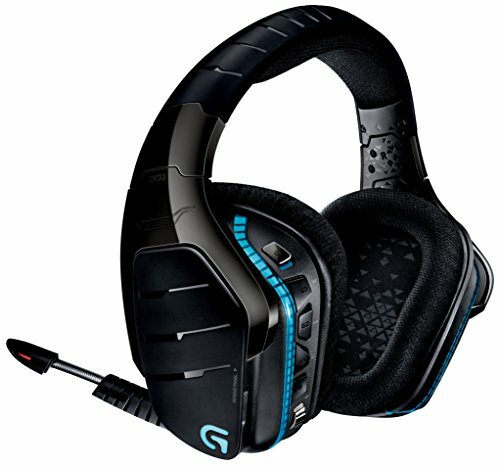 Never knew that 7.1 was possible on a headset, however, Logitech figured it out beautifully. 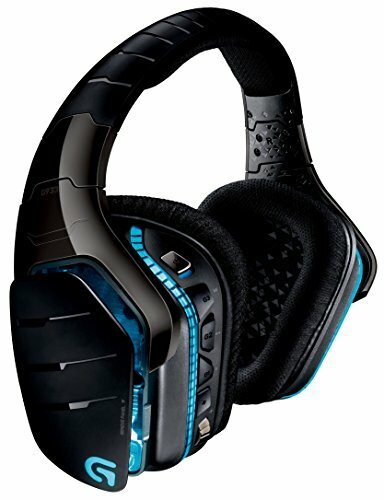 I hear things on this that I've never heard before on an Astro Gaming headset, which gives me situational awareness in fps games like no other. Battery life is a little short on this one with about 9 hours of continuous play. I tend to never charge the battery while it is half way charged as I've been told it shortens the life of the battery, however, I don't know how much truth there is to that. For now my gaming has to be scheduled around the headset's battery life, but I guess 9 hours isn't bad. Just have to be diligent about checking how much battery is left before every gaming session. 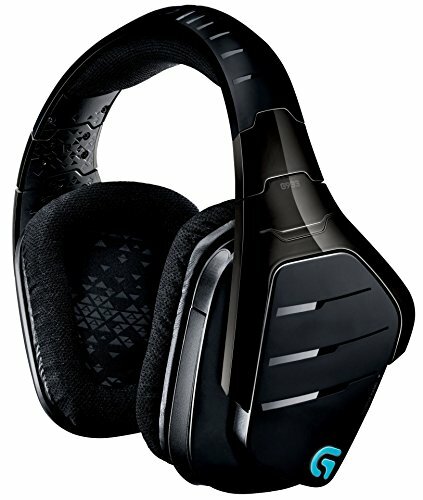 Great headset, the sound quality is really good, the best I've ever used. Before this one i had the g430, And found the wire always being stuck behind something. The only thing logitech really needs to improve is their gaming software. A little uncomfortable at first, but once you break them in they're just fine. Fits nice and snug and can also work with a phone or tablet. The 7.1 Dolby Surround sound is totally worth the investment and the software is pretty clean and easy to use. Awesome product , my girl said it fits her perfect , nice looking , great surround sound .